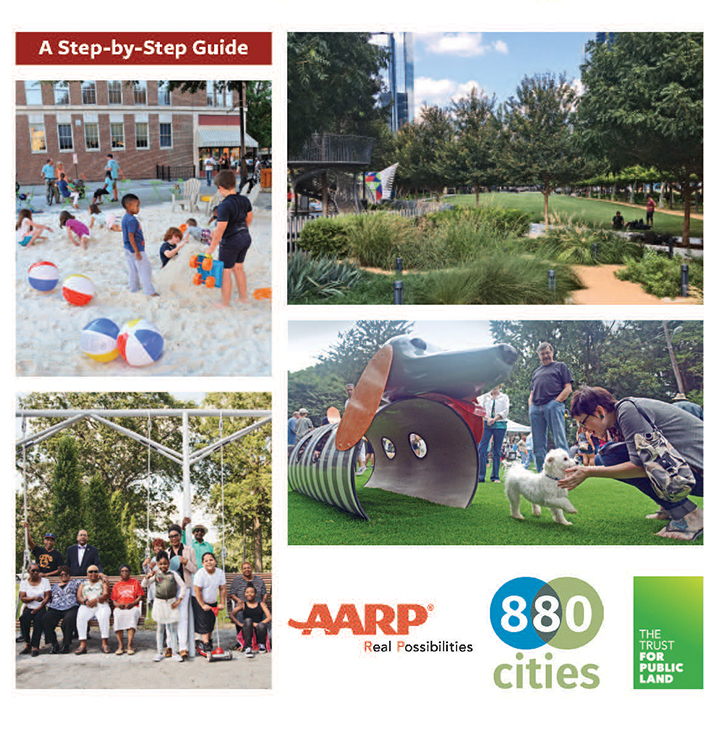 Our new, step-by-step guide to developing fun, safe and healthy outdoor spaces for people of all ages was created in partnership with 8 80 Cities and The Trust for Public Land. This new publication contains strategies, examples from throughout the nation and worksheets for use by planners and park advocates. Outdoor gyms in public parks provide free access to exercise equipment. The Fitness Zone program created by The Trust for Public Land (yes, the same trust noted above) works in cities and counties nationwide. 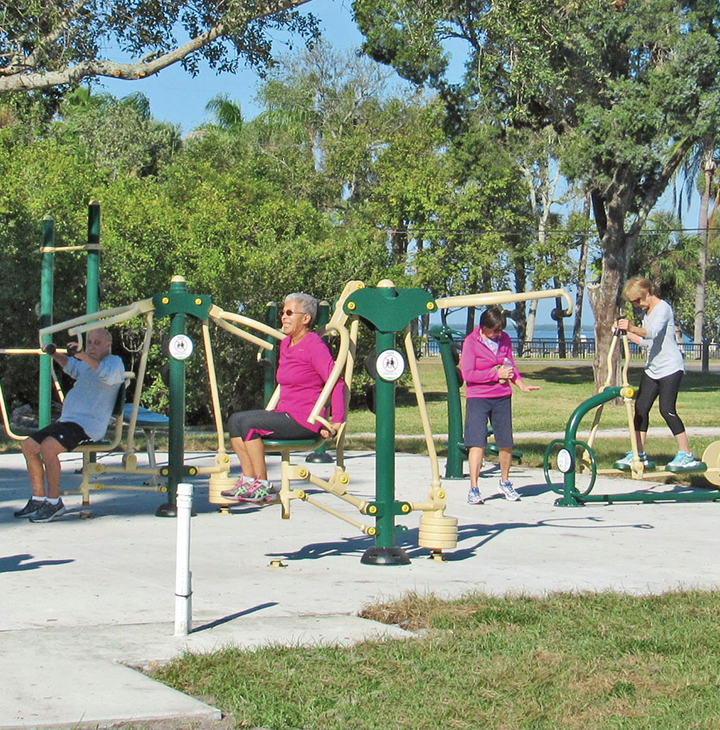 The Dunedin, Florida, workout spot shown here is a popular destination for older adults.